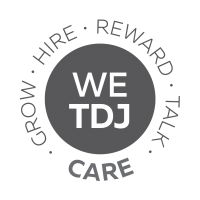 TDJ is a company with a unique structure and many possibilities to achieve your own professional expectations. We are constantly developing, dynamically adapting our company’s strategy to changing business conditions. We are looking for people with passion, courage to make decisions and acknowledging our common values. In TDJ, we capitalize on our experience in building the right strategy, which enables us to achieve success, and thanks to shared values, we create a well-coordinated and well-understood team. With us, you will have the opportunity to implement projects unique on the scale of Poland and Europe, cooperate with experienced managers in the processes of acquisition, sales and building the value of companies, and have the freedom to find solutions for specific problems. We are a place where people with passion, ambition, independence and responsibility will feel at home. TDJ is not just a workplace. 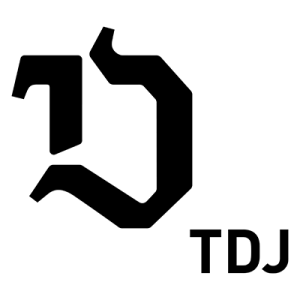 This is the space for achieving ambitions and collecting unique experiences. It is important for us to build a long-term relationship with employees. We share our success by supporting the youngest in their education and development. We offer managers the opportunity to achieve goals in all areas of the company’s operations: in setting up and building new companies from scratch, and influencing the long-term value growth of portfolio companies, development of startups within Venture projects, defining strategies and operational management of portfolio companies, to ensure a stable and long-term increase in their value. which acts not simply as a group of employees but also as good friends and colleagues. international corporations. Being outside the company I observed the changes taking place in the company structures and its dynamic development. After receiving the proposal to rejoin the TDJ team I had no doubt that it will be right decision. The owner’s involvement in building the company’s strategy and value, after an exemplary succession of leadership, is a trademark of TDJ. Here I have the opportunity to make most business decisions and it is extremely motivating, especially in regards to my previous experience. the issue of the TDJ value system, which is “alive” in the company and is a part of everyday work. many great projects that have allowed us to build the value of TDJ. All members of the TDJ community have access to a variety of benefits offered on a dedicated online platform. Employees can choose the benefits that best suit their needs of the wishes of thier families. The benefits package includes, among others, medical care, group life insurance and the Multisport card. Analysis of candidate applications and a short telephone interview with a representative of the HR Department, during which we initially verify the degree of matching the candidate’s experience and predispositions to the requirements in a given position. Interview with a representative of the HR Department and the potential supervisor of the candidate. Other team members with whom the candidate will potentially cooperate can also take part in the interview. Tests of substantive competences and personality predispositions that examine the intellectual and emotional potential of our candidates. In the diagnosis of predispositions of our candidates, we use psychological tests of recognized companies. In the case of recruitment for managerial positions, we also invite candidates to participate in an Assessment Center session. Optional additional interview with the manager of the area and final acceptance of the candidate. Presentation of the employment offer, confirmed by a letter of intent or preliminary agreement. Didn't find a job offer for you? Leave your CV in our database of candidates. We have often new job opportunities in TDJ.